In this tutorial I’ll show you how to easily install SyncWall wallpaper changer on Ubuntu and Linux Mint via PPA repository. 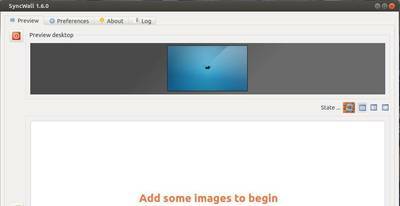 SyncWall is quite a basic wallpaper changer for Ubuntu Linux. It has the ability to synchronize wallpaper change between several workstations with a basic (and unsecured) client/server protocol. Each workstation must share the same pool of files, there is no FTP or Internet download. 2.) If you’ve already install Synaptic Package Manger, open it and click Reload button. Search for and install syncwall.